I've spent the last few days analyzing and re-tooling our algorithms which purge data from your account after its reached a certain age. In the past, we've had some hard rules, like mass email campaigns are deleted after they're one year old, and the list of addresses that opened are deleted 90 days after a campaign. While this kept the size of our database manageable, it was frustrating to lower volume users who needed the data longer than we made it available. Email Campaigns: Users with over 10,000 campaigns in their account will have their campaigns deleted after the campaigns are one year old. Users with less than 10,000 campaigns will have the campaigns preserved indefinitely. Only about 1% of JangoMail users have more than 10,000 campaigns in their account. 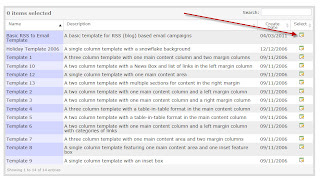 Email campaigns include the content of a campaign and the summary stats for that campaign, such as total opens, unique opens, total clicks, etc. Detailed Recipient Data: Users with over 10,000 campaigns will have this data retained for 90 days. All other users will have this data retained for 180 days. Previously it was 90 days. This includes the final recipient list for an email campaign. Detailed Open Tracking Data: Users with over 1,000 campaigns in their account will have detailed open tracking data purged after 90 days. All other users will have detailed open tracking data purged after 365 days. This data includes the email address that opened, along with the time, IP address, email client, and location. Detailed Click Tracking Data: For all users, detailed click tracking data will be available for 180 days. Previously it was 90 days. This data includes the email address that clicked, the URL, the position, HTML or Plain Text message, the IP address, browser, and location. 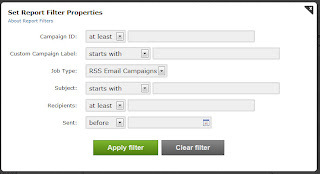 Email Lists: All of your Email Lists are maintained indefinitely while your account is active. Unsubscribes, Bounces, Complaints, and Survey Data: This data remains indefinitely while your account is active. Incoming Email Data: Incoming email messages, such as replies, bounces, manual unsubscribe requests are stored for 7 days, and is unchanged from before. 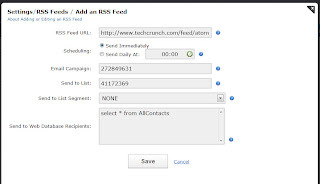 This includes the full content of all replies that are gathered after an email campaign is sent. This includes the content of the bounced message and the content of the unsubscribe request, but this does NOT include the actual bounced email address and the actual unsubscribed email address, which are both stored indefinitely. Autoresponder, recurring, confirmed opt-in, trigger, and forward-to-friend campaigns: This data is stored for 30 days, and is unchanged from before..
We know that having access to historical data is important, as it allows our users to send campaigns based on historical data. We're always working on ways to improve our data storage and efficiency, and if you have any particular storage needs related to your account data, let us know, and we'll do our best to accommodate you individually. JangoMail: Hi Josh. Thanks for taking the time to talk to us. You have been using JangoMail to market your new book. Could you tell me a little about your book? Josh: My book is a huge "coffee table" reference work on the Cord automobile. Sounds a bit esoteric, but the car has a large following and the book itself is just beautiful. See www.cordcomplete.com. JangoMail: It sounds like your book sold out pretty quickly! Congrats. What did you do to advertise it and what made you try email marketing? Josh: The book as been on sale on the above website, on Amazon, through bookstores, in car museum giftshops, etc, for about 18 months. There were still several hundred left in stock that I wanted to clear out. JangoMail: Could you tell us how you used email marketing to help with your sales? Were there any newsletters that were particularly successful? Josh: I decided to use the thousands of names of purchasers of my previous six books on antique cars to drive potential purchasers to the website, where a final clearance sale is being held. I have never used a service like JangoMail before. I found the system to be simple to use, and Anne's support was outstanding. If/when I write again, I will use JangoMail at the beginning, not just at the end! JangoMail: We are happy to hear that! Thanks again for taking the time to speak with us! Thanks to Josh for sharing his experience. If you have an interesting story on how JangoMail has helped drive your sales, we'd love to hear it! This week I'll continue our series on leveraging your reports to improve your email campaigns by addressing social media. Let's take a look at some of the ways you can use social media and social networking data to improve your email campaigns. With JangoMail, you can add publically available data from Facebook to your reports. Using Age, Gender and Location can help you increase the relevance of your emails. Think about your subject line. Will both males and females find it exciting or should you use a different subject line for each gender? What about age? Will both younger and older people be interested? Try segmenting your customers and addressing each segment with a unique subject line. Once you have your subject line perfected, think about the content. Consider composing different messages for the same event. Do you have a clothing sale to promote? Consider marketing it separately to men and women, choosing images and messages that appeal to each gender. Remember, unless it's the holidays, most people will be interested in shopping for themselves, so think about targeting your message differently for men and women. Or, during the holiday shopping season, you might consider tailoring your content to their gift giving. Also, do some research! Find out which age groups tend to enjoy certain activities. There is endless data out there on gender, age, location, and more. Use it to your advantage. Every time you send an email newsletter, share it on Twitter. Include a Twitter Share Button in your email (or just a simple View as a Web Page link) and click it yourself after you receive it. Then before you tweet it, add in your subject line. Use Google Analytics to track the activity you received from Twitter. 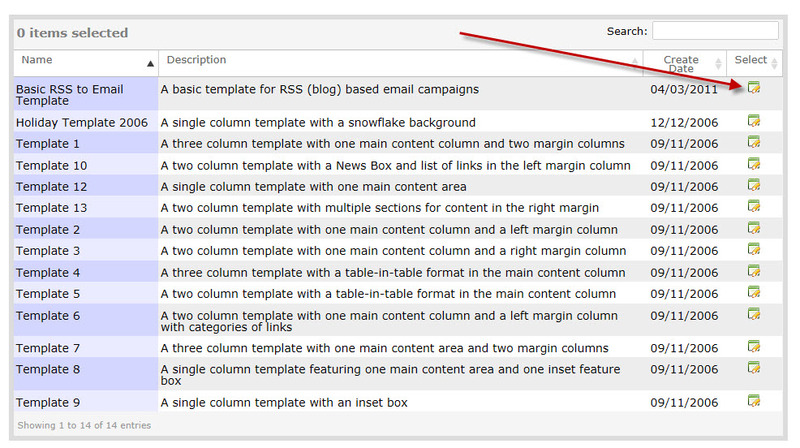 First, make sure Google Analytics is set up to track your emails. Sign into Google Analytics and select your account. Navigate to Traffic Sources in the left-hand navigation and click on Sources. 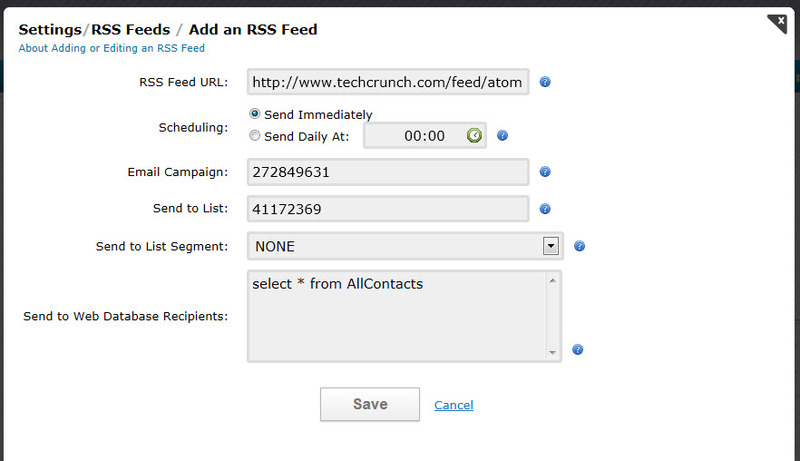 Click Referrals and find Twitter.com in your referral list. Navigate to Secondary Dimension, which is under the graph. Choose Traffic Sources > Landing Page. Take note of the URL you tweeted earlier. Once you choose your date range, you can see the number of people who clicked on the link you provided in your tweet. This data will help you measure the effectiveness of using Twitter to promote your email campaigns. Let your customers help you spread the word. With JangoMail, it's easy to add social media sharing buttons to your email. Check out our instructions in our blog post on how to add Social Sharing Links. Is it worth it? One company found that including social sharing buttons increased their click-through rates by over 30%. Give it a try. You may find similar results. Twitter, Facebook, and Email: When do you use them? There have been endless publications that claim or argue against the idea that [insert social media tool here] is an email-killer. The fact is that email and each of the major social media outlets serve a different purpose, and all are valuable. Used well, they can complement each other, rather than compete for attention. So what should you use them for? Twitter is great for pointing to new announcements, whether emailed, blogged, or announced via press release. You can only send short messages to your followers, so if you have something quick to say, an emergency to announce, or somewhere you want to send your fans, then Twitter is the tool to use. Some companies also use Twitter for limited customer service. It can be challenging to fully address most questions, but it's an easy way for customers to initiate contact if they have a problem. Many companies move the conversation to email in order to address the rest of the question. Keep in mind that when you open up Twitter as a customer service tool, conversations are usually public. Facebook is great for networking and, like Twitter, keeping fans up to date on your company. If you are a B2B company, you might find it less useful as many of your business clients probably don't spend a lot of time on Facebook looking for other businesses. If you are a B2C company though, you can gain new customers by encouraging your customers to follow you and share your announcements with their friends. Facebook is a place where you can interact with your customers; encourage feedback and reviews of your company. Show the public that you care by responding to their posts. If you have the resources and are ok with addressing questions publicly, you can use Facebook for customer service as well. Send an email newsletter when you want to provide more in-depth details and/or target specific customers based on demographics. It's hard to get your full message out on Facebook or Twitter, so compose it in an email, post it to a web page, and then share it through social media. Email can use customer demographics to point each individual customer to the store closest to them. Also consider that not all customers want to be social media friends with the businesses they interact with, but many of them are willing to hear the latest news via email. Transactional emails are very important to customers as well. They are customer-specific and private. They serve as a receipt, remind them of what they ordered, and provide information such as how to track a purchased item. There are some aspects of business that shouldn't be public. Email gets these important messages across without announcing them to the world. As you consider how you might use email and social media, remember that they have different audiences and different purposes. Social media is often used to attract new customers, while email can keep current customers informed and interested. Together, they form a powerful marketing team. By using reporting to learn more about your audience, you can target your marketing and perfect the messages you send. Last week I introduced you to the idea of using your open and click reports to improve your email campaigns. This week I'll go one step further and talk about leveraging your Geotracking and Browser Reports. JangoMail collects location data from everyone who opens your email. Look at the raw data in an Open or Click Report and you will see each recipient's city, region, zip code, country and even latitude and longitude. JangoMail also displays this data on a map. Why is location data useful? You can use this data to cater your future email campaigns to your recipients in a number of ways. If you have a retail store, try emailing only those in driving distance and encourage them to come in. Give them an in-store coupon. If it's baseball season, try sending emails that mention each recipients' home team. Do you get better responses in a certain part of the country? Find out. Are your winter-themed emails not getting through to those who live in the south? Are you sending people in Florida "Hooray for Summer!" emails? Try targeting your features based on the climate your recipient is in. Consider how location influences culture. Cater to each location group separately based on the prevalent culture of that area. Find out where the biggest concentrations of your customers live and increase your advertising efforts there. These reports are a great way to figure out where to boost your local ads. You definitely want to know what browsers your customers are using. Most browsers display what you need them to, but what if your recipients are using smart phones? You may have lost their interest if your wide, complex email takes a lot of effort to read and interact with. Now is the time to find out: what percentage of your recipients read your emails with their phone? Check out our Email Client report. If you have a significant number of smart phone users, consider emailing them separately with a smart phone-friendly format. Or, consider linking to a "smart phone-friendly" version at the top of your email. How should your email newsletter format differ for a smart phone? Here are a few ideas, but remember - always test! What works for one company may not work for the next. Shorten your message. Make it clean and concise with a clear call to action. Simplify your format and decrease the width. An iPhone is 320px wide by 480px high. Even in landscape mode, that is probably a lot thinner than your current email newsletter. Consider creating larger links and buttons that are easy to press with your fingers. A user is likely to give up if your link is too small for them to visit with a tap of a finger. Preview your email on an actual smart phone. Make sure it looks good! Finally, ask your recipients which format they would prefer. They may check their email on their phone, but wait to actually read it until they are by a computer. So now you have some ideas on how to use Geotracking and Browser Data to improve your email campaigns. Are you ready to send out a more personalized, targeted email? It's easy to create and send to an email list based on your Geotracking or Browser Data. Once you've analyzed your reports and decided who to email, all you need to do is pull up the report with the recipients you want to email and click the Create Email List or Send Email Campaign icon. Full instructions are in our blog post titled: New Feature: Use a Report to Create and Send to an Email List. Next week I'll talk about using social media to improve your email campaigns. At JangoMail, we’re all about email, of course. Compose your message, build in all the bells and whistles of personalization, send quickly and efficiently, and then watch the results come into your Reports. Reports, on the surface, contain really great information. At a glance, and in real time, I can watch my campaigns go out and see the tallies of opens and clicks mount up. More opens/clicks, the better my campaign is doing, right? That is a part of the picture, but only a part. Taking it one step down the road, you can complete the picture by really analyzing how these results can be leveraged into better email campaigns, with greater ROI. The same lists, with better return? That’s what we’re all looking for. There is a lot of data there for the taking, so I’m going to do a few posts on what you can glean from your current campaigns to make future ones even better. Let’s start with the basics. We all like to look at our open and click reports over time. Are they improving? How did the latest email do? But how many of you actually do something to try to improve your open and click rates? Look at your subject line and find out what works best for you. Is it short and concise? Is it longer and descriptive? Is it so long that it gets cut short in some email readers? Do you include your company's name? Do you include your recipient' name? Do you keep your subject line consistent or change it up? Do your subject lines vary based on your customer demographics? One company doubled open rates by catering their subject lines to a recipient group's age demographic. Does it look spammy to you? Would you open it? There's no one way to best format your subject lines, so test different formats. You'll surely notice that your recipients find certain subject lines more appealing than others. Segment out your inactive customers. Did they ever open? Find out what made them open your email. Look at the data you have. Send an email catered to each customers' preferences and demographics. Send a reactivation campaign. Ask them their preferences. Would they like less email? Something different? Encourage them to unsubscribe if they no longer want to hear from you. If your inactive customers remain inactive after a number of attempts, it may be wise to remove them from your email list. Open Tracking works by tracking the display of an invisible image. Many email programs turn that off by default. If your message contains no other images that your recipients would want to see, they have no reason to enable images, possibly throwing off this metric. Plain text readers can't report opens either, so always evaluate this, along with Click Tracking, to look for trends over time. Work on a strong CALL TO ACTION. Are you telling your recipients to click? How many call to actions do you have? Try to minimize the number of calls to action so that it's clear where you want your recipients to go. Do you have social media buttons? Encourage your recipients to join you in the social sphere. One study found this to increase click through rate by 30%! This process should get you in the habit of using reports to improve your email campaigns. Test constantly! There are few guaranteed best practices. Find out yourself what works for you. Next I'll talk about using geotracking and browser data to improve your emails. 1. The shortened address can be more easily shared with others. This is especially helpful for mobile text messaging. 2. Many allow you to track statistics on the number of visitors to that address. A few examples of commonly used URL shorteners are tinyurl.com, bit.ly, Google's goo.gl, and Twitter's t.co. They are attractive to spammers because the address of the true destination page is masked by the shortener. When you send an email, the receiving server scans the message to try to determine whether or not it is spam. One item that is commonly checked is any URLs within your message. Therefore, because spammers have damaged the reputation of these URL shortener domains, including them in your emails can hurt your deliverability. The good news is that it's easy to avoid having to use URL shorteners in your emails. If the full URL is unsightly due to its length, send your emails in HTML format and hyperlink the full URL with some short descriptive text. If you require statistics on visitors to your links, JangoMail includes a click tracking feature that can be branded with your own domain name. Of course, if you can personalize with the recipient's first name, your email will have more of an impact, but personalizing with the Email List Name is now possible. 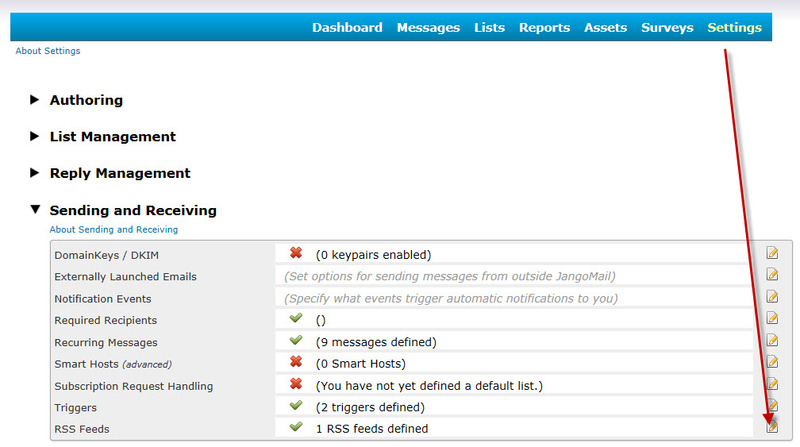 We added this functionality at the request of a JangoMail user. Do you have a special request? Let us know. Every now and then we get an inquiry from a prospective customer that speaks to a wide variety of JangoMail capabilities. Sometimes, but not often, I like to give my sales team a break, and post the answer in a blog post for the world to see! segmentation capabilities. Triggered e-mails are also a high priority to handle transactional type data. We're also in need of dynamic content features and potentially regional targeting. We would love to see a demonstration of your product. Segmentation capabilities - if you're storing your data with us in Email Lists, then this doc is all about segmentation: http://www.jangomail.com/documents/Public/JangoMail_Tutorial_Filtering_Group_Members.pdf. If you're storing your data in your own database and just using JangoMail to connect to it, then you can use any SQL query you wish to segment your data. Triggered emails - emails can be triggered when a recipient joins your list, opens another email, clicks a URL, or lands on a particular web page. 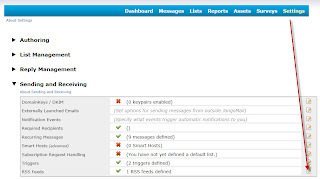 For more information on triggered emails, see http://www.jangomail.com/documents/Public/JangoMail_Tutorial_Triggers.pdf. Most of our features are developed after requests from our users. Have an idea for a neat feature? We'll likely build it for you if you tell us about it. 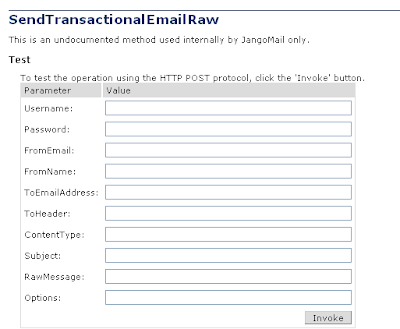 JangoMail's SMTP service now allows you to manage authenticated IP addresses via two new API methods. The methods, SMTPRelay_AddIP and SMTPRelay_DeleteIP, simply take an account's credentials and the IP address that the user wishes to add or delete to the SMTP service. 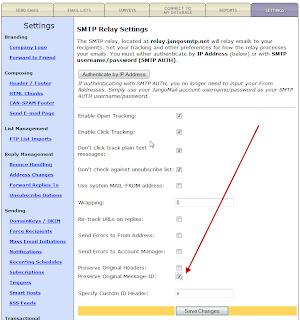 Authenticate an IP address for the SMTP relay. 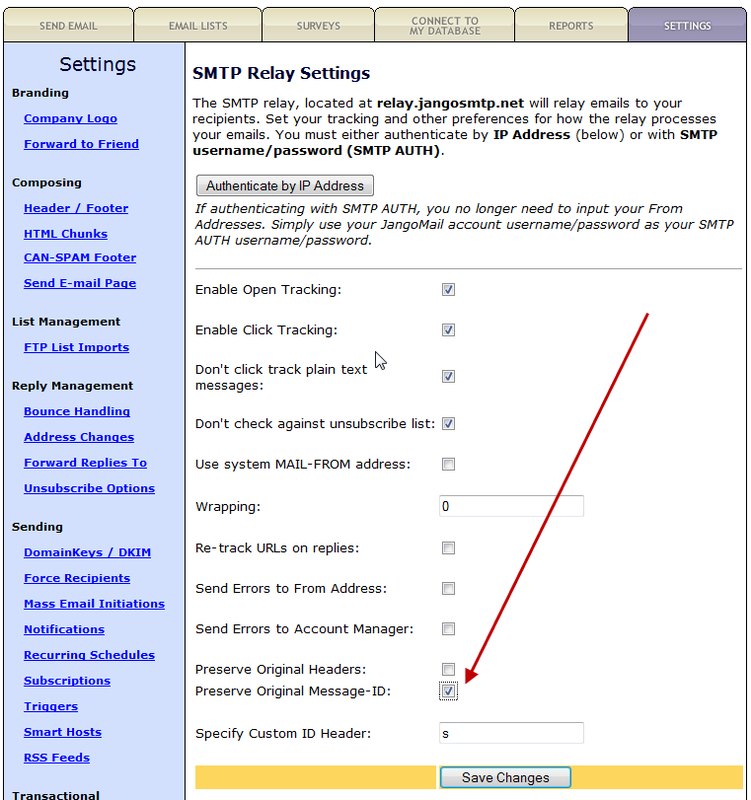 Delete an authenticated an IP address for the SMTP relay. You can now segment an Email List based on whether its members have responded (or not responded) to a survey. You can segment based on a survey taken in any campaign, a particular survey taken in a particular campaign, or any survey taken in a campaign. 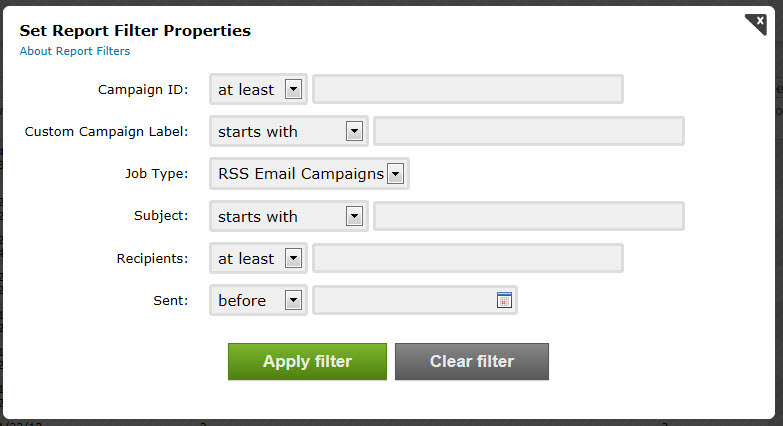 To do so, select the Email List you wish to filter, and then click the Advanced Filter button. Switch to the Advanced Query Editor. where you would replace MassEmailID with the actual ID number of the email campaign and SurveyID with the actual ID number of the survey. If a MassEmailID is specified, you need not specify a SurveyID, and if a SurveyID is specified, you need not specify a MassEmailID. The combinations and their meanings are below. (##MassEmailID.SURVEYTAKEN-SurveyID##) --- respondents of a particular survey in a particular email campaign. (##MassEmailID.SURVEYTAKEN##) --- respondents of any survey from a particular email campaign. (##SURVEYTAKEN-SurveyID##) -- respondents of a specific survey taken from any email campaign. In the below example, the segment will result in any respondent of any survey in campaign 234879837. You can segment your Email Lists in almost any way imaginable -- based on opens, clicks, replies, web page views, and now survey responses. For detailed information on how to segment Email Lists, see the comprehensive tutorial: JangoMail: Advanced Filtering of Email Lists. Are you dissastisfied with our service? You may want to send a follow-up email message to those that responded YES to this question. You can do this under the Reporting tab. Access your survey results, and filter the results down to this question with the answer YES. Then click the icon to send a follow-up campaign. For more information on how to do this, see our past blog post on this topic. The SendTransactionalEmailRaw method is a special API method that allows you to send a transactional email, but requires you to assemble a MIME compliant message body on your own. By contrast, the more common method, SendTransactionalEmail, need only an HTML body, a Plain Text body, and optional attachments, and then the API will assemble the MIME-formatted message automatically for transmission to the recipient. SendTransactionalEmailRaw is the method that is used behind-the-scenes by our SMTP relay service. 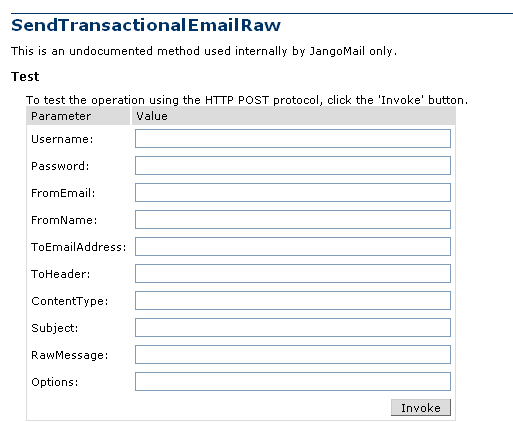 Anytime a user relays a message to relay.jangosmtp.net, our code internally calls SendTransactionalEmailRaw. This method was originally developed just for our internal use to enable our SMTP relay, but since it appears in our full method listing, our clients have begun inquiring about how they too can use it, and that's why we are publishing this article. In this article, we'll look at examples of manually assembled MIME parts and how to submit the raw message to this method. First, let's look at the input parameters of the method. Some should be self-explanatory, so we won't include explanations of those here. ToEmailAddress: This is the email address that will receive this message. ToHeader: This is the email address that will show in the To header of the email message, which technically doesn't have to be the recipient of the message. It is important to distinguish between ToHeader and ToEmailAddress. In most business cases, these will be the same email address and therefore the same value. If I want to send an email to john@company.com, then ToEmailAddress=john@company.com and ToHeader=john@company.com, because I want the To header to show the same email address to which the message was sent. This is a simple plain text message. Here's an example of a body with both HTML and Plain text message parts. Lastly, here's an example of a plain text message with an attachment. When does it make sense to confirm / double opt-in your email list? When I help clients build web-site sign up forms to tie in with their JangoMail accounts, I highly recommend making use of our Confirmed Opt-In feature (sometimes known as “double opt-in” in the marketing world). With an Email List that is Confirmed, any address that is added to the list first receives a brief confirmation message to ensure that the owner of the email address is, indeed, the one who registered and wants to receive mail from the sender. The email address will not be eligible to receive messages from that account unless the custom confirmation link in the message is clicked. JangoMail allows complete customization of this message, so it is easy for the branding and content in this confirmation to be recognized by the recipient, encouraging a quick click to confirm! This makes sure our clients get nice clean email lists, and ensures that a recipient cannot be “signed up” by a third party for any reason. As Director of Operations at JangoMail, I also find myself encouraging clients to make greater use of the Confirmed Opt-In tool in ways that go beyond the simple validation of web registrations. Sometimes, it can be an integral part of great list maintenance as well. I know this can be a difficult message, and an odd one for a company that wants you, as our customer, to send out more emails! After all, you go to great effort to build and expand your lists. It is perfectly reasonable to be reluctant to cut them back down. So, when does it make sense to re-confirm your data and prune the lists a bit? Let’s take a look. Your list is getting old, and you haven’t sent to it regularly. Lists that have aged are a bit notorious for causing spikes in complaints when you begin sending to them again later. The recipients haven’t heard from you in a while and often don’t remember signing up at all. If they do remember, their needs or interests may have changed. It’s a quick solution on the recipient end to hit the “spam” button to just make it go away. The problem is, this affects your reputation as a sender. You are starting a new position or project, and you cannot find the original source of opt-in in your list data. If you receive complaints from your campaigns, you will need to be able to respond very specifically to the complainant as to where and how he/she asked to receive your emails. If you don’t have this data now, it’s time to think about it before you begin sending email. Often, people inherit lists from others in their organizations that came from a time when it wasn’t a big deal to keep good records. Email has changed over time in response to the abuses that are out there. Updating your records is a win for everyone. I have had two recent experiences where lists that had substantial age on them (3+ years) now included addresses that are “spamtraps” where they weren’t previously. A spamtrap is an address that is used ONLY to catch people who are harvesting addresses from public sources. These addresses are not used by individuals anymore. We find that it is a routine practice for some services to retain addresses of former employees or other now-unused addresses for this purpose. Spamtraps can cause you major headaches. Accounts that are Return Path Certified can even face immediate suspension from the certification program until lists are cleaned. In reconfirming these lists, the spamtrap address could not have clicked to confirm and would automatically NOT have been part of any future mailings. This would have avoided the problem entirely. You have a new email push that is significantly different from that for which users originally signed up. In this case, it’s time to make a hybrid of your old list. This is MUCH more polite than starting something new and giving people the chance to opt-out. In fact, we’ve found that if you follow the opt-out path, you’ll wind up with too many folks just opting out of everything you do entirely by unsubscribing from your company, period. Why? Maybe they’re not interested, or maybe they just have too much going on in their email already. Either way, err on the side of caution and use the chance to opt them in to your newest project. Sold? Ready to do more with less? Please also feel free to contact Customer Support (https://www.jangomail.com/Support/; 1-888-709-4099) for help! We love to hear from our customers. We've recently been getting reports from our users who are unable to use JangoMail's Connect to Local Database feature after upgrading to Internet Explorer 9. The browser would freeze after clicking the Connect button, and would have to be shut down using Task Manager. After some exhaustive research, we've finally found a fix. Click here to download the registry entry as a text file. Rename the .txt file to a .reg file, and then double-click the .reg file to run it. This will add the necessary key to your Windows registry. This issue is caused by an esoteric bug in Internet Explorer 9 involving ActiveX controls and modal dialog boxes. You can read about the bug here. We hope that Microsoft releases a fix to this in the next IE9 release, in which case, adding the above-mentioned registry key won't be necessary. Until then, please use the registry key as a workaround. The Connect to Local Database feature is based on an ActiveX control. ActiveX technology is Microsoft-specific, and therefore this feature only works in Internet Explorer. It allows a user to connect to a local data source, like an Excel file, Access file, text file, or any ODBC data source (even SQL Server and Oracle), without having to upload the entire data file, and without having to export and import data. It's one of JangoMail's standout features, and one that separates us from our competitors. When we first launched this feature in 2004, Internet Explorer was the dominant browser. As the years went on, and Safari, Firefox, and Chrome chipped away at IE's market share, the number of users able to use the Connect to Local Database feature shrank. Unfortunately the functionality provided by this ActiveX control is extremely difficult to duplicate in a browser-universal technology like Flash, Java, or Silverlight. For now, we'll continue supporting our IE users taking advantage of this feature, but we hope that in the future, we'll be able to port this feature to a browser-agnostic technology. Any SysAdmin will tell you that having a good toolkit at your disposal makes your job much easier. And if you think about, it's a universal truth. Whatever your profession, you absolutely need the right tools for the job. As a SysAdmin I rely heavily on my toolkit because I know that the process of troubleshooting is much quicker when I have a tool that will uncover that critical bit of information to pinpoint the root cause of a problem, or that critical byte in the case of a recent support issue here at JangoMail. The JangoMail support team had an issue pop up whereby some users of the CodeIgniter PHP framework were not able to successfully send messages via the JangoMail SMTP relay. A cursory check of our incoming logs showed that in all cases, the SMTP transaction was stalling out at the DATA command. All other parts of the system were in working order and we had no complaints from other users. It was a good time to open up that SysAdmin toolkit and see what else we could dig up. For my money, Wireshark is an indispensable tool. It has been a lifesaver for me on multiple occasions. The old-school Unix/Linux admin would likely use the tcpdump tool for similar reasons. These tools capture all network traffic on the computer and dump it in a human readable format. Wireshark has an especially nice GUI and a helpful feature to trace an entire TCP stream and decode the application layer protocol as necessary. Back to our CodeIgniter issue... after firing up Wireshark, it took just one SMTP transaction with CodeIgniter to pinpoint the issue. RFC 2821 requires commands to be terminated with CRLF (that's carriage return followed by line-feed), but the CodeIgniter client was only sending a LF character. As a result, the JangoMail SMTP relay server was waiting for more input until it ultimately timed out, resulting in an un-sent message. One single byte was the reason messages were not flowing! A good illustration of the fact that when communicating between systems on the Internet we should try and follow Internet standards as much as possible. Perhaps it's also time we all finally agree on a single line-terminator. Microsoft's Windows, Apple's OSX and the Linux operating system all use different line-terminator character sequences by default(!) - CRLF, CR and LF respectively. Solving a problem often comes down to having the right tool for the job. So what does your toolkit look like?